Great template YJ Destination for popular CMS Joomla designed studio YouJoomla. It is assumed that it is intended for web resources and tourism subjects other similar orientation. But, as often happens with templates from YouJoomla, presented in this project functionality allows to make YJ Destination extremely versatile, therefore, this is perfect for business sites, resources or hotel interior studio, sports news website or blog. 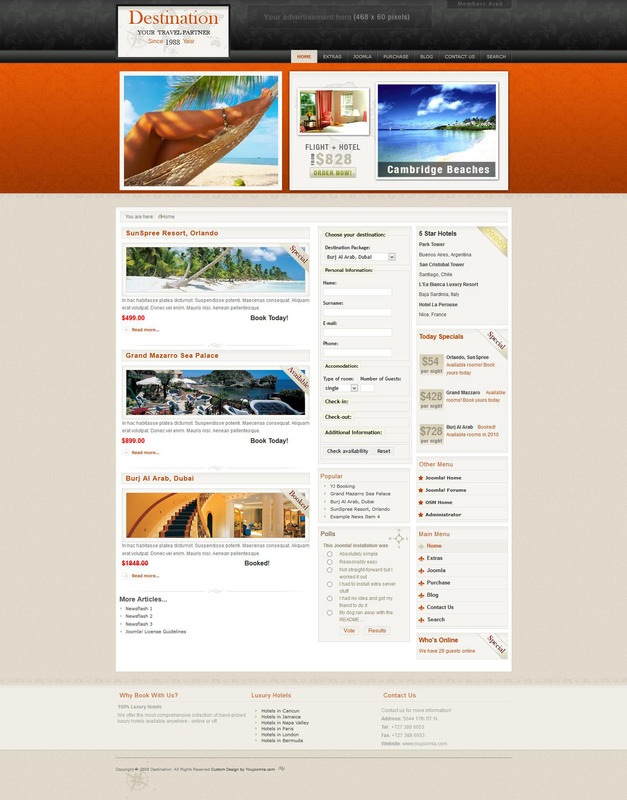 Template YJ Destination works exclusively for Joomla version 1.5.